4400801 PR711 LIEBHERR Bulldozer PR711 Spare parts catalog. Operator's Manual. Service manual and additional technical information for repair and operating. 4400802 PR711C LIEBHERR Bulldozer PR711C Spare parts catalog. Service manual and additional technical information for repair and operating. 4400803 PR712 Litronic LIEBHERR Bulldozer PR712 Litronic Spare parts catalog. Service manual and additional technical information for repair and operating. 4400804 PR712B Litronic LIEBHERR Bulldozer PR712B Litronic Spare parts catalog. Operator's Manual. Service manual and additional technical information for repair and operating. 4400805 PR714LGP Litronic series 4 LIEBHERR Bulldozer PR714LGP Litronic series 4 Spare parts catalog. Operator's Manual. Service manual and additional technical information for repair and operating. 4400806 PR714XL Litronic series 4 LIEBHERR Bulldozer PR714XL Litronic series 4 Spare parts catalog. Operator's Manual. Service manual and additional technical information for repair and operating. 4400807 PR721 LIEBHERR Bulldozer PR721 Spare parts catalog. Service manual and additional technical information for repair and operating. 4400808 PR721B LIEBHERR Bulldozer PR721B Spare parts catalog. Service manual and additional technical information for repair and operating. 4400809 PR721C LIEBHERR Bulldozer PR721C Spare parts catalog. Operator's Manual. Service manual and additional technical information for repair and operating. 4400810 PR722 Litronic LIEBHERR Bulldozer PR722 Litronic Spare parts catalog. Service manual and additional technical information for repair and operating. 4400811 PR722B Litronic LIEBHERR Bulldozer PR722B Litronic Spare parts catalog. Operator's Manual. Service manual and additional technical information for repair and operating. 4400812 PR724L Litronic series 4 LIEBHERR Bulldozer PR724L Litronic series 4 Spare parts catalog. Operator's Manual. Service manual and additional technical information for repair and operating. 4400813 PR724LGP Litronic series 4 LIEBHERR Bulldozer PR724LGP Litronic series 4 Spare parts catalog. Operator's Manual. Service manual and additional technical information for repair and operating. 4400814 PR724XL Litronic series 4 LIEBHERR Bulldozer PR724XL Litronic series 4 Spare parts catalog. Operator's Manual. Service manual and additional technical information for repair and operating. 4400815 PR731 LIEBHERR Bulldozer PR731 Spare parts catalog. Service manual and additional technical information for repair and operating. 4400816 PR731B LIEBHERR Bulldozer PR731B Spare parts catalog. Service manual and additional technical information for repair and operating. 4400817 PR731C LIEBHERR Bulldozer PR731C Spare parts catalog. Service manual and additional technical information for repair and operating. 4400818 PR732 Litronic LIEBHERR Bulldozer PR732 Litronic Spare parts catalog. Service manual and additional technical information for repair and operating. 4400819 PR732B Litronic LIEBHERR Bulldozer PR732B Litronic Spare parts catalog. Operator's Manual. Service manual and additional technical information for repair and operating. 4400820 PR734L Litronic series 4 LIEBHERR Bulldozer PR734L Litronic series 4 Spare parts catalog. Operator's Manual. Service manual and additional technical information for repair and operating. 4400821 PR734LGP Litronic series 4 LIEBHERR Bulldozer PR734LGP Litronic series 4 Spare parts catalog. Operator's Manual. Service manual and additional technical information for repair and operating. 4400822 PR734XL Litronic series 4 LIEBHERR Bulldozer PR734XL Litronic series 4 Spare parts catalog. Operator's Manual. Service manual and additional technical information for repair and operating. 4400823 PR741 LIEBHERR Bulldozer PR741 Spare parts catalog. Operator's Manual. Service manual and additional technical information for repair and operating. 4400824 PR741B LIEBHERR Bulldozer PR741B Spare parts catalog. Service manual and additional technical information for repair and operating. 4400825 PR741C LIEBHERR Bulldozer PR741C Spare parts catalog. Service manual and additional technical information for repair and operating. 4400826 PR742 Litronic LIEBHERR Bulldozer PR742 Litronic Spare parts catalog. Service manual and additional technical information for repair and operating. 4400827 PR742B Litronic LIEBHERR Bulldozer PR742B Litronic Spare parts catalog. Operator's Manual. Service manual and additional technical information for repair and operating. 4400828 PR744L Litronic series 4 LIEBHERR Bulldozer PR744L Litronic series 4 Spare parts catalog. Operator's Manual. Service manual and additional technical information for repair and operating. 4400829 PR744LGP Litronic series 4 LIEBHERR Bulldozer PR744LGP Litronic series 4 Spare parts catalog. Operator's Manual. Service manual and additional technical information for repair and operating. 4400830 PR751 LIEBHERR Bulldozer PR751 Spare parts catalog. Operator's Manual. Service manual and additional technical information for repair and operating. 4400831 PR752 Litronic LIEBHERR Bulldozer PR752 Litronic Spare parts catalog. Operator's Manual. Service manual and additional technical information for repair and operating. 4400832 PR754 Litronic series 4 LIEBHERR Bulldozer PR754 Litronic series 4 Spare parts catalog. Operator's Manual. Service manual and additional technical information for repair and operating. 4400833 PR764 Litronic series 4 LIEBHERR Bulldozer PR764 Litronic series 4 Spare parts catalog. Operator's Manual. Service manual and additional technical information for repair and operating. 4400834 RL22B Litronic LIEBHERR Winch Loader RL22B Litronic Operator's Manual. 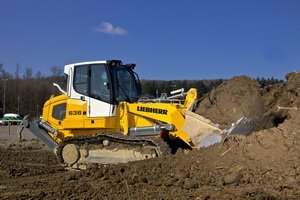 4400835 RL22B Litronic series 2 LIEBHERR Pipe Layers RL22B Litronic series 2 Service manual and additional technical information for repair and operating. 4400836 RL422 Litronic series 2 LIEBHERR Pipe Layers RL422 Litronic series 2 Service manual and additional technical information for repair and operating. 4400837 RL42B Litronic LIEBHERR Winch Loader RL42B Litronic Operator's Manual. 4400838 RL42B Litronic series 2 LIEBHERR Pipe Layers RL42B Litronic series 2 Service manual and additional technical information for repair and operating. 4400839 RL44 Litronic series 4 LIEBHERR Pipe Layers RL44 Litronic series 4 Operator's Manual. Service manual and additional technical information for repair and operating. 4400840 RL52 Litronic LIEBHERR Winch Loader RL52 Litronic Operator's Manual. 4400841 RL52 Litronic series 2 LIEBHERR Pipe Layers RL52 Litronic series 2 Service manual and additional technical information for repair and operating. 4400842 RL64 Litronic series 4 LIEBHERR Pipe Layers RL64 Litronic series 4 Operator's Manual. Service manual and additional technical information for repair and operating. 4400843 SR712B Litronic LIEBHERR Bulldozer SR712B Litronic Operator's Manual. 4400845 LR611 LIEBHERR LR611 Crawler Loader Spare parts catalog. Operator's Manual. Service manual and additional technical information for repair and operating. 4400846 LR614 Litronic series 2 LIEBHERR LR614 Litronic series 2 Crawler Loader Spare parts catalog. Operator's Manual. Service manual and additional technical information for repair and operating. 4400847 LR621 LIEBHERR LR621 Crawler Loader Spare parts catalog. Service manual and additional technical information for repair and operating. 4400848 LR621B LIEBHERR LR621B Crawler Loader Operator's Manual. 4400849 LR622 Litronic LIEBHERR LR622 Litronic Crawler Loader Spare parts catalog. Operator's Manual. Service manual and additional technical information for repair and operating. 4400850 LR622B Litronic LIEBHERR LR622B Litronic Crawler Loader Spare parts catalog. Service manual and additional technical information for repair and operating. 4400851 LR624 Litronic series 2 LIEBHERR LR624 Litronic series 2 Crawler Loader Spare parts catalog. Operator's Manual. Service manual and additional technical information for repair and operating. 4400852 LR631 LIEBHERR LR631 Crawler Loader Spare parts catalog. Service manual and additional technical information for repair and operating. 4400853 LR631C LIEBHERR LR631C Crawler Loader Operator's Manual. 4400854 LR632 Litronic LIEBHERR LR632 Litronic Crawler Loader Spare parts catalog. Service manual and additional technical information for repair and operating. 4400855 LR632B Litronic LIEBHERR LR632B Litronic Crawler Loader Spare parts catalog. Operator's Manual. Service manual and additional technical information for repair and operating. 4400856 LR634 Litronic series 2 LIEBHERR LR634 Litronic series 2 Crawler Loader Spare parts catalog. Operator's Manual. Service manual and additional technical information for repair and operating. 4400857 LR641 LIEBHERR LR641 Crawler Loader Spare parts catalog. Operator's Manual. Service manual and additional technical information for repair and operating.